This book had everything I was looking for to refresh me after a run of books that didn’t really inspire me – real science, not so real science, diverse characters and the end of the world. I was drawn to this book based on its cover, title and description so I’m glad that my instincts didn’t let me down this time. It all kicks off with spores of some unknown fungus being spread in the rain, instantly burning and infecting all organic organisms. We see the discovery of this disaster from the perspective of different characters: parents, a scientist, and a rescue worker. The characters are well developed and distinctive, which instantly hooks you onto their stories and, in my case, means that you can’t put the book down until you’ve read the entire thing just to see how things work out for them. It has a great ending which Meikle leads up to with a combo of action and suspense, but it’s not over until everyone’s been thoroughly traumatised, so it’s not all too neat to be satisfying. As the fungus begins to evolve its behaviour to completely obliterate the planet, we see the characters evolve similarly and how their will to survive and save those they love can allow them to do the miraculous. This is everything I love in a sci-fi apocalyptic story! Truth be told, a realistic world-destroying fungus is now pretty high up in my list of ‘plausible ways the world could end’, reading a book that makes this seem realistic was great for me. 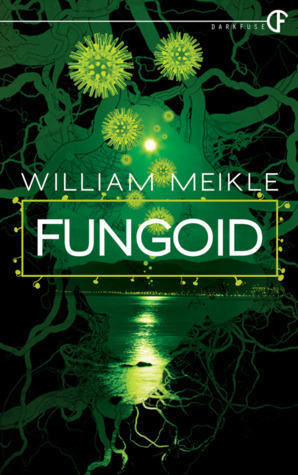 William Meikle is a talented writer, the story is perfectly paced so that the story isn’t bogged down by character drama or the science – instead it’s a perfect blend of all three. He doesn’t mince words or add any excessive detail, each word he writes is essential to the story. His author bio on Goodreads tells me that he’s a Scottish writer living in Canada, which pleasantly surprised me because as I read this book I recognised the style of someone from the North of the UK but the authenticity of the Canadian setting. Which was such a niche thing to recognise that I need some kind of medal for my efforts! If you’re looking for a compelling end of the world read or have even the slightest interest in sci-fi and horror, then this satisfying read is a must. Yeah, I loved this book too! I’m glad to see that you did too.